The 'AKA… What A Life!' singer isn't a fan of the micro-blogging site personally but he thought the concept was a good idea until he saw so many famous faces take to it and "bastardise" it for their own gain. Life's too short for that kind of thing but I think those things like Facebook and twitter and stuff were started with the best of intentions to connect ordinary people around the world, like daughters travelling in Europe can tweet their mums. But as with everything celebrities get involved and bastardise it, trying to sell you their s**t. There's too much of that. Anything that's of any use famous people get hold of it and take it for themselves and it gets a bad rap. I'm like sitting here and thinking I hate twitter and I don't know why." The former Oasis guitarist also believes the internet has destroyed the "magic and mystery" of musicians. Noel – who admits he only got his first computer "at Christmas" – thinks it was better when fans knew less about their idols because it made their new albums more exciting. 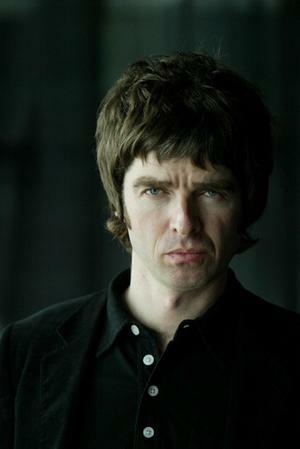 The rock star – who is releasing his record 'Noel Gallagher's High Flying Birds' on October 17 - said: "I don't think people need to know what colour socks I'm wearing today, I don't think people need to know what shower gel I'm using. There's too much information in the world and there's no magic or mystery anymore. That's why I didn't announce I was in the studio making this album until 18 months down the line. Because it would be like, 'Yeah man I'm in the studio and today I recorded a song in my socks! And it was great man and it might turn out to be a disco song.' What's the point?' I was obsessed with the Smiths and there was none of that going on. You just waited and wondered what they were up to and then the album would come out in four weeks and it was like, 'Wow!' "